Welcome to the parish of St. Cosmas of Aitolia. 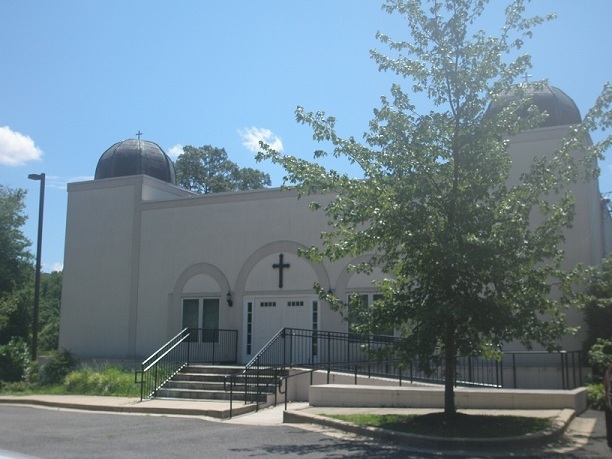 Founded in 1981, we are located just outside of Washington D.C.
Our parish was established in 1981 to serve English-speaking Orthodox Christians in the Washington D.C. area. We are dedicated to preserving the holy Orthodox Faith exactly as it was handed down to us by our holy fathers and the saints of the Church. We follow the old calendar, observe the fasts of the Church, and offer holy services in their full form and beauty. We are a multi-ethnic flock consisting of converts of various backgrounds as well as cradle Orthodox Christians of Greek, Russian, Romanian, and American descent. We welcome visitors, although we ask that you speak with the priest before receiving the Holy Mysteries. We invite you to stay for coffee hour after Divine Liturgy. The building our parish occupies now, completed in 2004. Image © Holy Transfiguration Monastery. Used with permission.